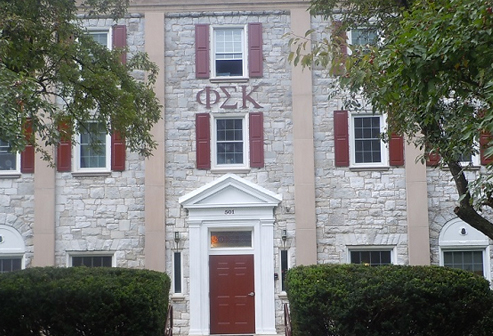 “I was kidnapped to go on a pledge trip to Susquehanna University in the dead of winter. There were probably a dozen of us that went on the trip. John Schaub ’82, was one of the other Brothers that went. After considerable drinks and a not-so-inviting Brotherhood at Susquehanna, we realized it was probably best to leave. Brother Schaub (in a drunken stupor), was on a mission to find his coat and nothing was turning up. Rather than weathering 10-degree temperatures, John opted to take a coat--or eight--convinced that his had been stolen. Two hours later we arrived back at the Phi Sig house, only to find John’s coat back in his room. Yep, we hopped back in the car, and put the stolen coats in a box with a note. I keep in touch with several Brothers on Facebook and I have worked in Advertising and Marketing since graduation. I’ve worked for agencies in Philadelphia and Minneapolis; I’ve been on the client side in North Jersey, Boston, and all over Philadelphia. Currently, I am an Advertising Consultant working for an agency in Wilmington, DE (Ironically, I took over my wife’s job when she left). I’ve worked on tons of different products and services – from Freschetta Pizza, David’s Bridal, Armstrong Ceilings, Bank of America and some very funky niche things. And for those who ask – no, the industry is not like “Mad Men,” by the time I got into the business, the martini lunches were a thing of the past. I currently live in Philadelphia and am enjoying all that the city has to offer. 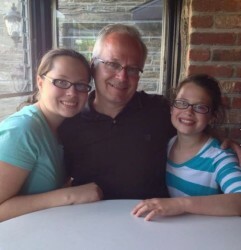 I have two girls, a 14 and 12-year-old, so I am bracing myself for the dating years! I have been married to an equally funny wife for 17 years and she also works in the business.